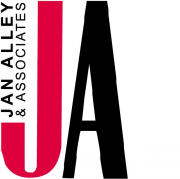 Jan Alley has over 20 years’ experience in improving the performance of people. Her passions are people management and communication skills, and she specialises in human resource management, leadership, and interpersonal skills. Jan’s services include coaching, consultancy, keynote speaking, and facilitation. Clients are from a broad range of industries including retail, pharmaceutical, energy, professional services, and local body. Her delivery style has been described as interactive, informative, and interesting. Her enthusiastic approach ensures participants come away with a combination of knowledge, insight, and practical skills that can be immediately transferred into the workplace. Jan adds value to client organisations through strategic human resource planning and management, as well as training and coaching for leaders in management, communication, and voice coaching. She regularly facilitates ongoing management and leadership development programmes that are custom-designed as in-house modules to enable a client management team to develop skills and knowledge as well as assessing and improving their policies and systems. Qualifications include a postgraduate Diploma in Business from the University of Auckland, and LTCL in Speech and Drama from the Trinity College of London. Jan is a Certified and Master Facilitator of the TetraMap of Behaviour, an assessor for Investors in People, and an accredited NZQA Workplace Assessor and Moderator. 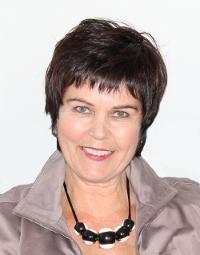 She is a facilitator and member of the New Zealand Institute of Management and a Professional Member of HRINZ. Our broad range of knowledge and experience combined with your understanding of your own organisation will ensure that TetraMap will develop the potential and performance of your people to meet your organisational needs. Our interesting, informative, and interactive style will also ensure that the participants enjoy the learning – and want to implement changes. For the impact on the culture at Estee Lauder, see the case study. Jan worked with us to introduce Tetramap into our business and very quickly it has become part of everyday life. It is a model that is easy to understand, follow, and apply, and feels so natural that it becomes second nature to think in TetraMap terms. We use the language often in everyday meetings to help steer ourselves in the right path and in more formal ways, such as to prepare feedback, coaching and to communicate effectively. I can honestly say that we have gained a lot from having Jan work with our business and we will continue to grow our team’s use and understanding of the tool.